The main purpose of the trip was to attend basketball matches. We’ve attended two: Crvena Zvezda (Red star Belgrade) vs. Anatolu Efes from Turkey and Belgrade derby Partizan vs. Crvena zvezda. 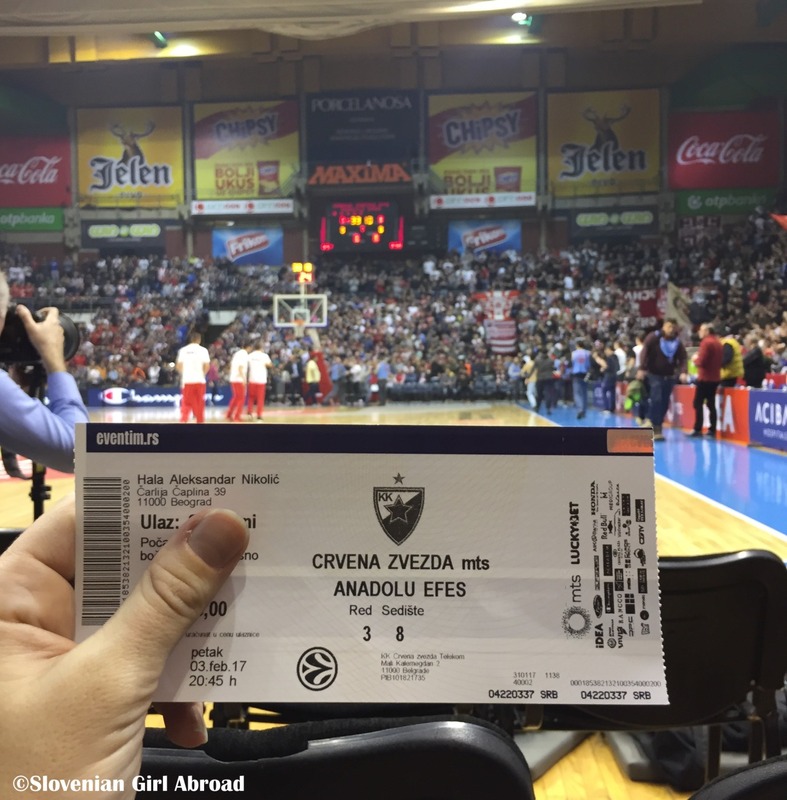 Those were my first professional basketball matches and, oh boy, they were unique and unforgettable experiencee. 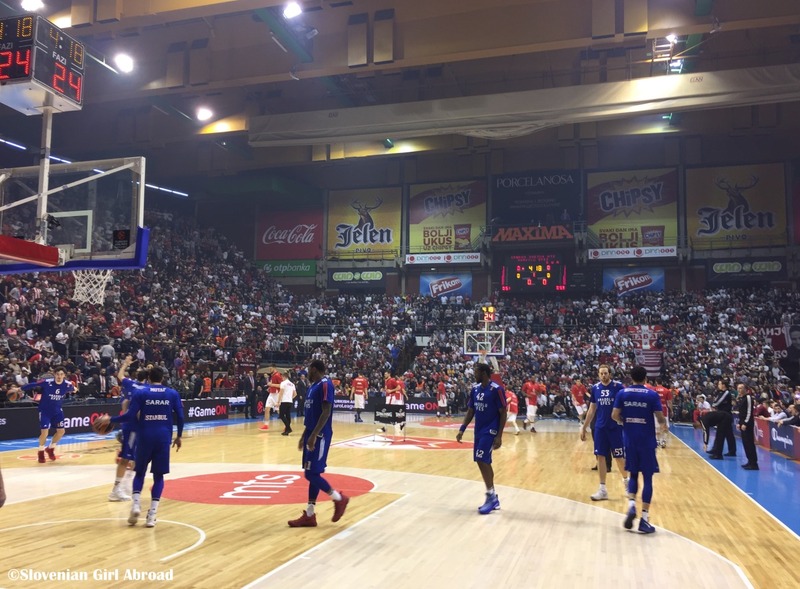 Not so much because of the basketball, but because of the cheering of the supporters of both Belgrade’s teams. The atmosphere in the arena was at the both matches amazing. So much cheering, so much emotions. At the derby Partizan vs Crvena Zvezda it even got scary with all the fanatic fans who gathered in the hall to support their teams. Some of them were really spooky. Just before the match, after we just stepped out of the taxi in a street next to the arena, we had an incident. Three girls from our group wore red jackets. Red is the colour of the Crvena zvezda and an angry fan of Parizan who just walked past us got very upset. From his angry face, voice and gestures it was clear, he was super offended. He cursed us all just for wearing the “wrong colours”. Crazy! Event though it was cold, girls took their jackets off, and walked to the arena just in their jerseys . Without any further accidents we got inside the arena. Even though most of us didn’t really care which team would win, we’ve actively cheered for Partizan team, just to avoid any unwanted problems with their fans. At the end Partizan won, the fans were happy and all ended well. Apart from basketball, the highlight of our trip definitely the amazing food. We ate so much, we ate so well. Another fun aspect of our trip was exploring Belgrade’s night life. After two nights of partying, I can say, it definitely lived up to mine expectations. Apart from attending the sports events, partying and eating well, we also did some sightseeing. 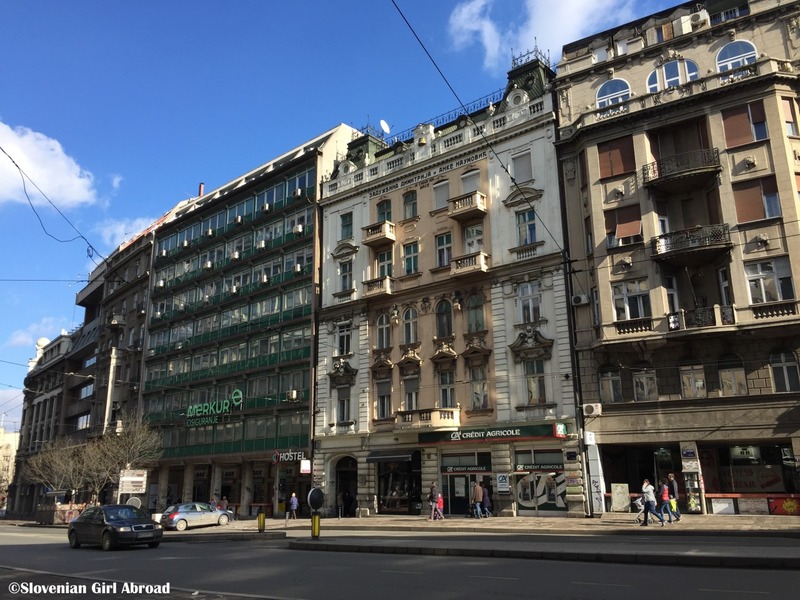 We walked around the town and saw the main tourist attractions: Knez Mihajlova Street, parliament building, church of Saint Sava, church of Saint Marko, Danube and Sava waterside etc. 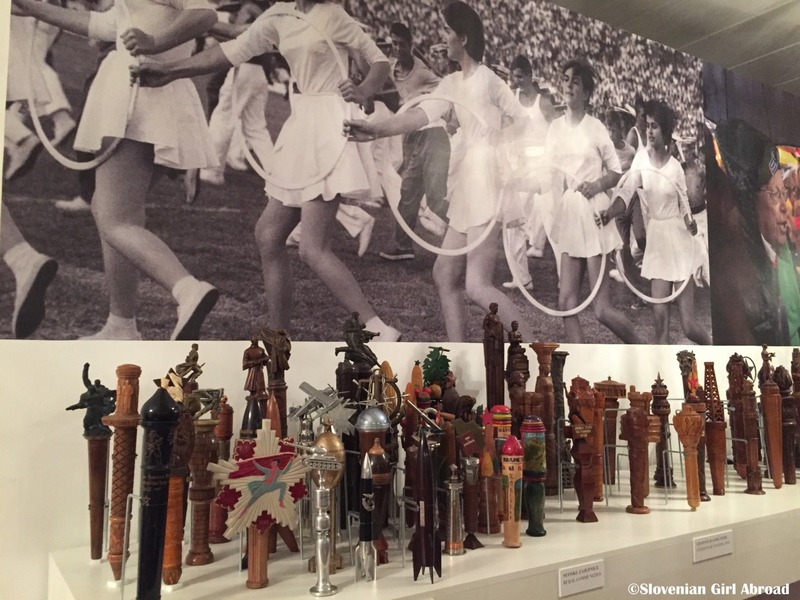 The female part of the group also explored some of the Belgrade’s history while visiting Museum of Yugoslav History (Muzej istorije Jugoslavije). 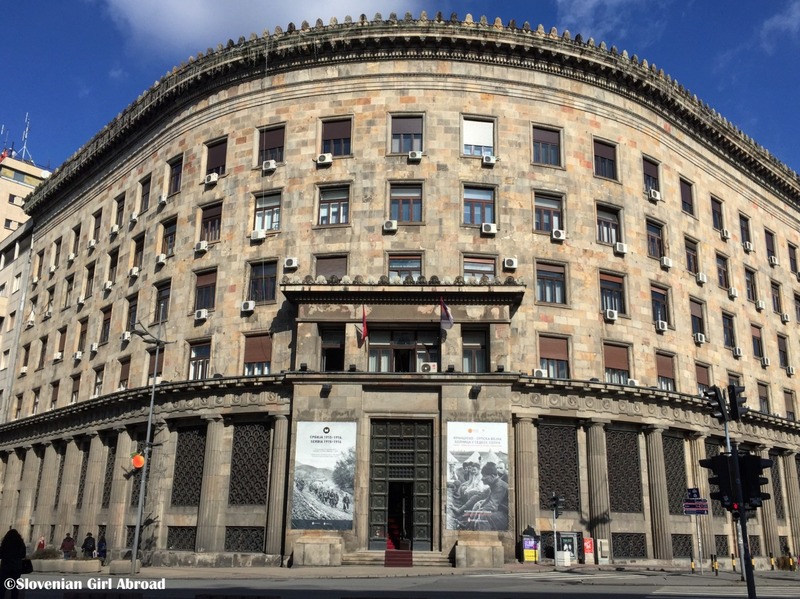 A museum supposed to be dedicated to 20th century history with the focus of Yugoslavia (Serbia was constituent part of Yugoslavia), but it mainly focus on the persona of the former Yugoslav leader Josip Broz Tito. Despite it wasn’t the most informative and exciting museum I have ever visited, I still enjoy the visit. I usually prefer travelling alone with my husband, but every now and then it is nice to travel in larger group of friends. 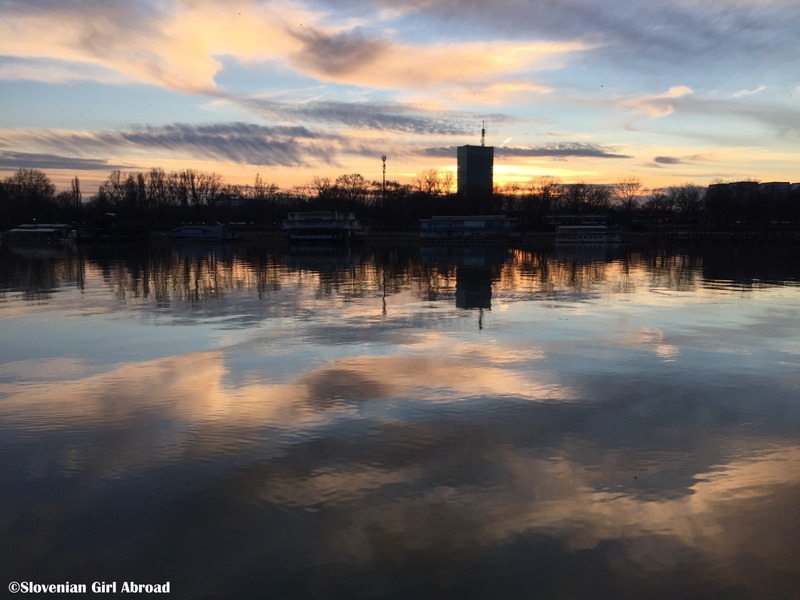 Belgrade was a perfect town to be explored in such way. It was definitely fun and exciting trip I would love to repeat at some point in the future. The food looks so different…Was the second picture a hunter’s stew? 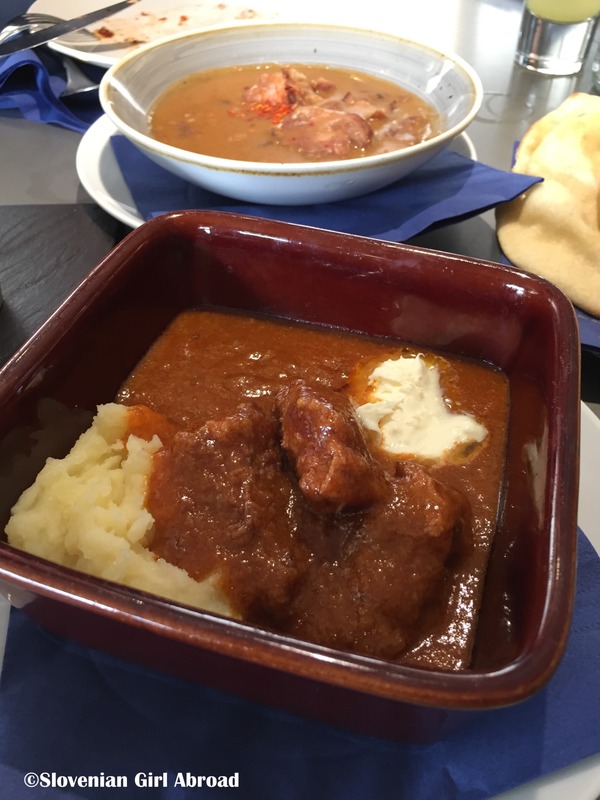 No, the front plate was goulash and the back plate veal stew. Both delicious. 😋 In what sense different? 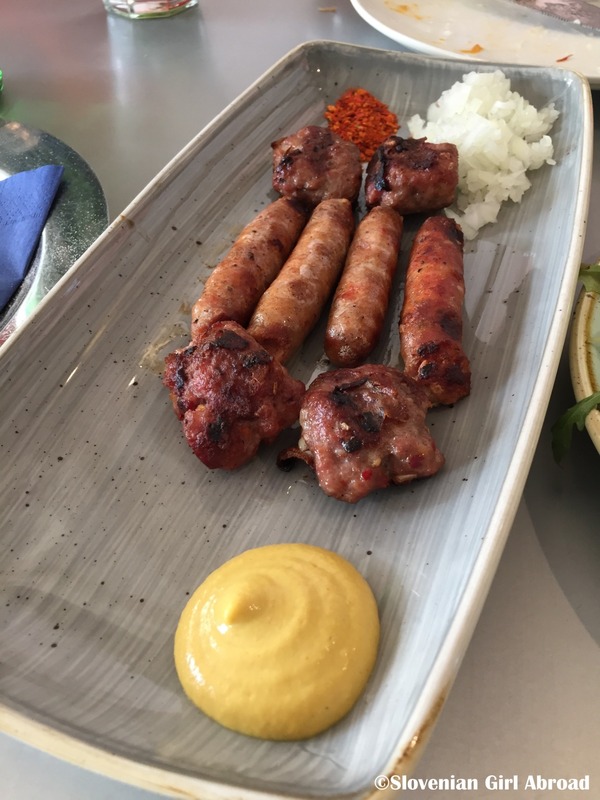 I’m totally used to seeing very small portions of meat and starch, more vegetables and dairy. Sometimes it’s just so nice to left someone else do all the planning! I wish that was the case for us, but my husband never pitches in specific details of things he wants to see and do. I find everything, and it can get a little overwhelming and tiring, yet I still love it! I agree. I think we got quite different experience of Belgrade than if I would plan it. Thanks for reading about my trip! 😉 The food was definitely one of the highlights of this trip. It was so good. 🙂 Well, the first basketball match against the Turkish team was great, but the derby was a bit scary. So many fanatic fans. I’ve been to many sports events, but this was the first one where I haven’t feel safe. That food looks great – my interest is piqued! 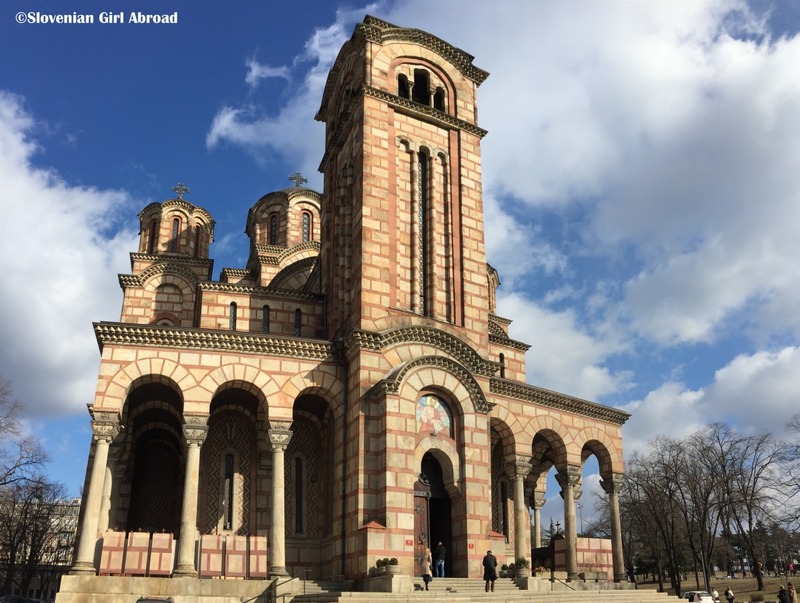 I’d love to go to Belgrade! Oh yes, I think Serbians are very proud of their national basketball team. Most of the people we spoke with, spoke very highly of them. Apparently, they are very good. They are also very passionate about their club basketball. The atmosphere in the hall was superb. This sounds exciting! Thanks for sharing! It’d be nice to visit Serbia, and Slovenia too! I agree, it’s an interesting city to explore. Quite unique in Europe, I would say! I visited on a press trip two years ago and there was so much to see and do, I liked it! 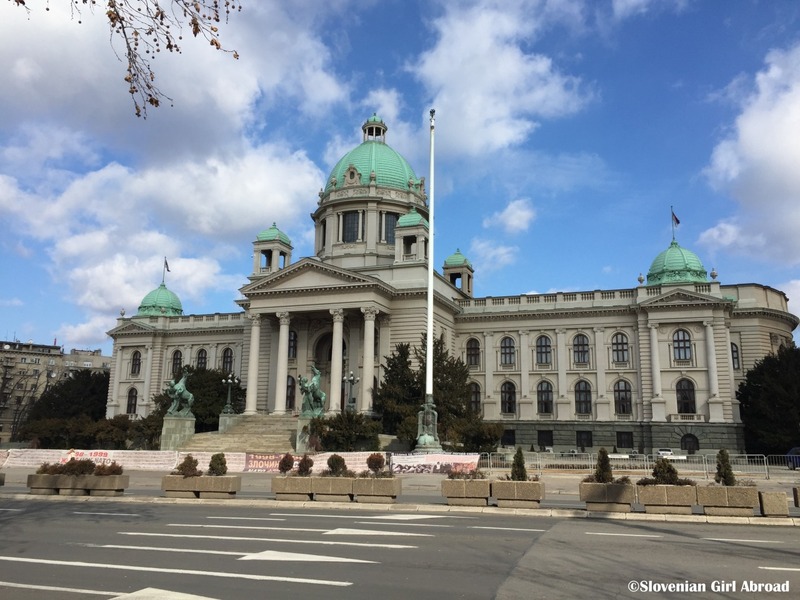 Belgrade sounds like a very interesting city, so much history and perhaps still quite undiscovered by tourists. I would LOVE someone to take over the planning for our travels once and a while! Especially if they know the place we are visiting! We also like to go to sports matches when visiting a place, it gives a real feel for the energy of the locals, sometimes good and sometimes not so great apparently. Looks like a lovely place for a weekend exploring – thanks for sharing with #FarawayFiles. I agree, it is nice someone else take over the planning once in a while and also, sports events are a nice place to see the energy and the character of the locals. I’ve been to many derbies like this one, but Serbs were up to date far the most serious and passionate about their teams.